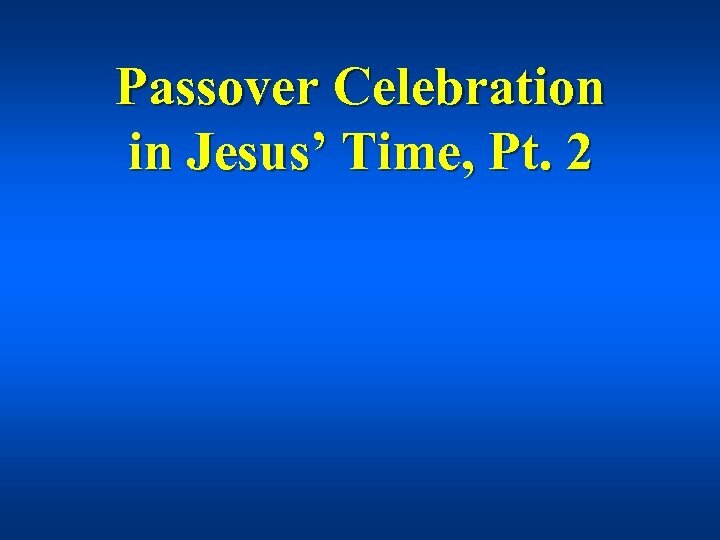 Doxology Praise Jehovah, all ye nations, All… ye people, praise proclaim; For His grace and lovingkindness, O… sing praises to His Name. Great to us hath been His mercy, E…ver faithful is His Word; Through all ages it endureth, Hal…lelujah, praise the Lord! 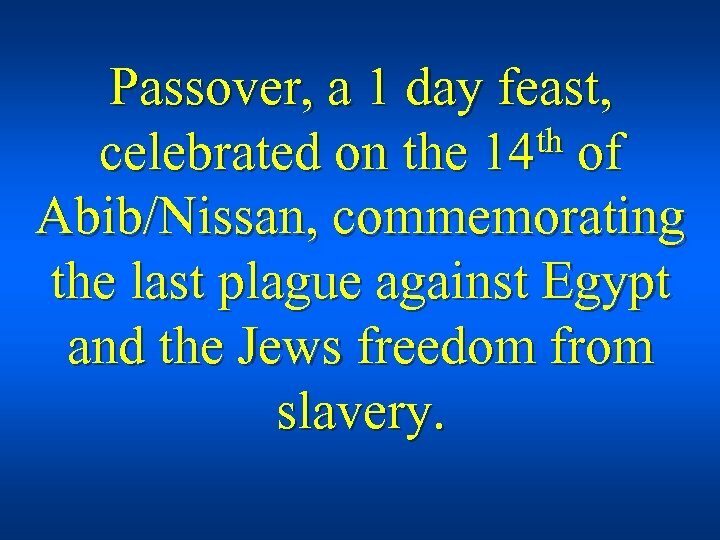 Passover, a 1 day feast, th of celebrated on the 14 Abib/Nissan, commemorating the last plague against Egypt and the Jews freedom from slavery. 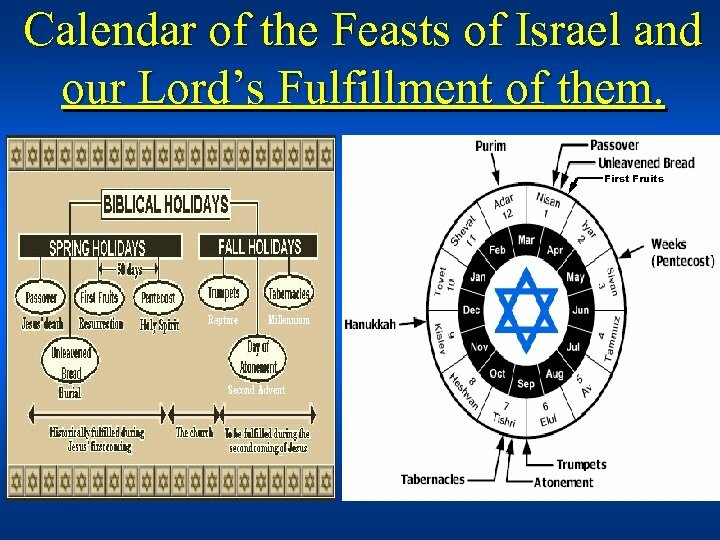 It also signified the Lord passing over their sins, Lev 23: 4 ff, Num 28: 16. 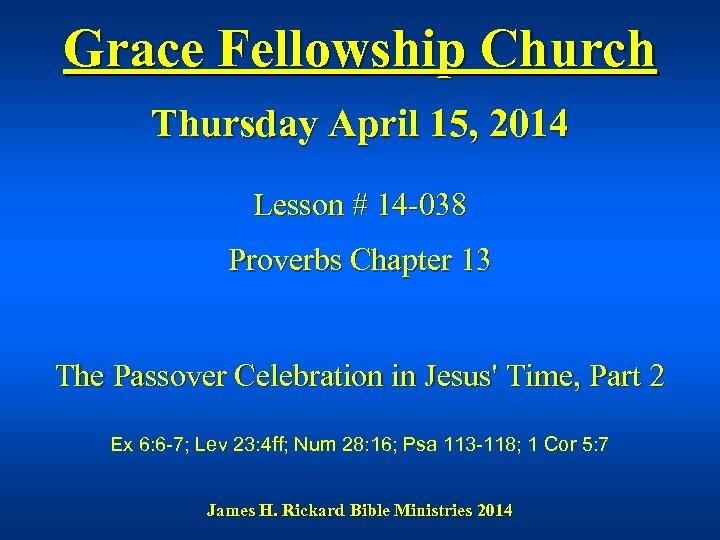 It also signified the Lord passing over their sins, Lev 23: 4 ff, Num 28: 16. 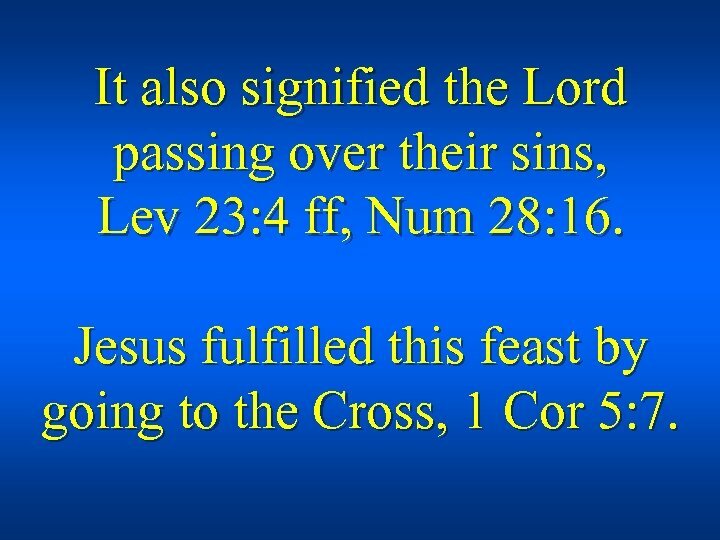 Jesus fulfilled this feast by going to the Cross, 1 Cor 5: 7. The Cups. 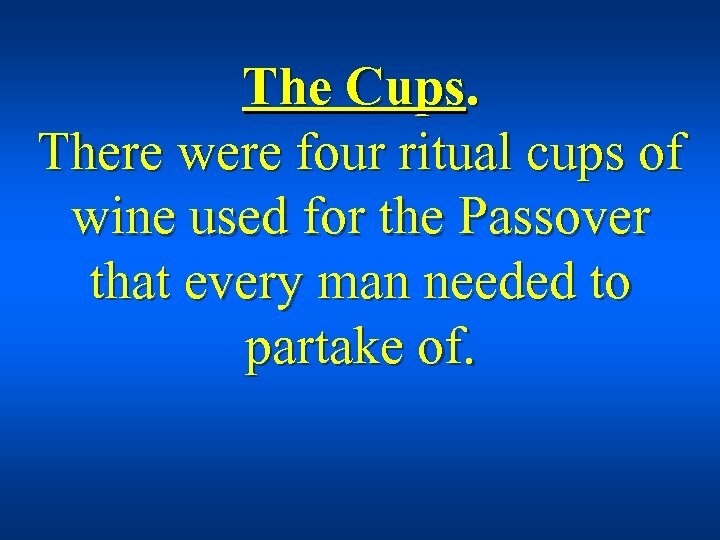 There were four ritual cups of wine used for the Passover that every man needed to partake of. 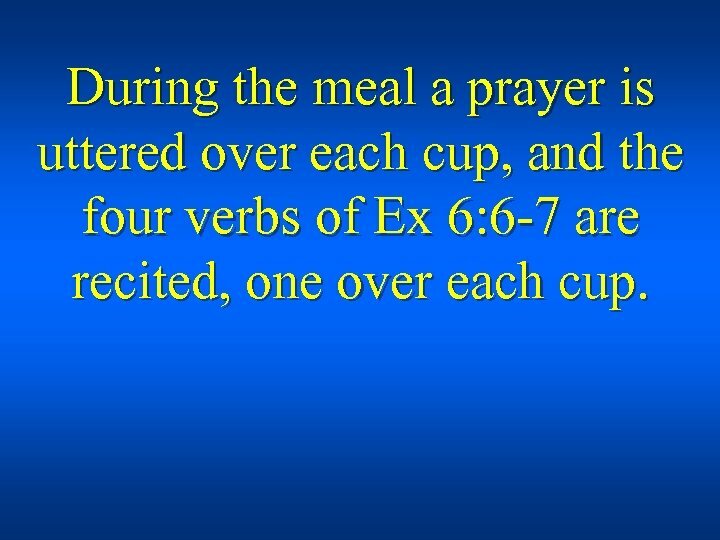 During the meal a prayer is uttered over each cup, and the four verbs of Ex 6: 6 -7 are recited, one over each cup. 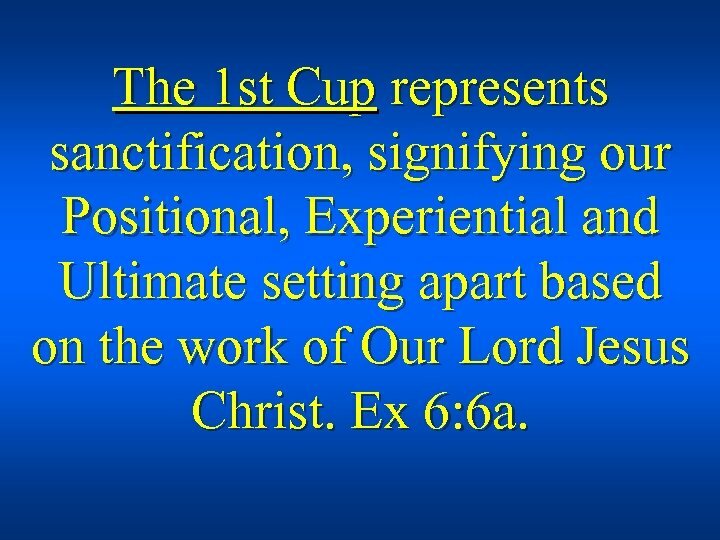 The 1 st Cup represents sanctification, signifying our Positional, Experiential and Ultimate setting apart based on the work of Our Lord Jesus Christ. 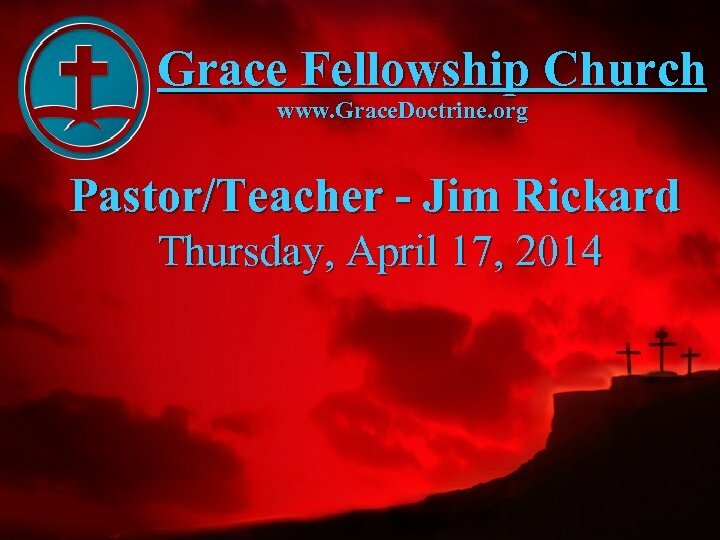 Ex 6: 6 a. The 2 nd Cup. It was poured, but not yet drunk. 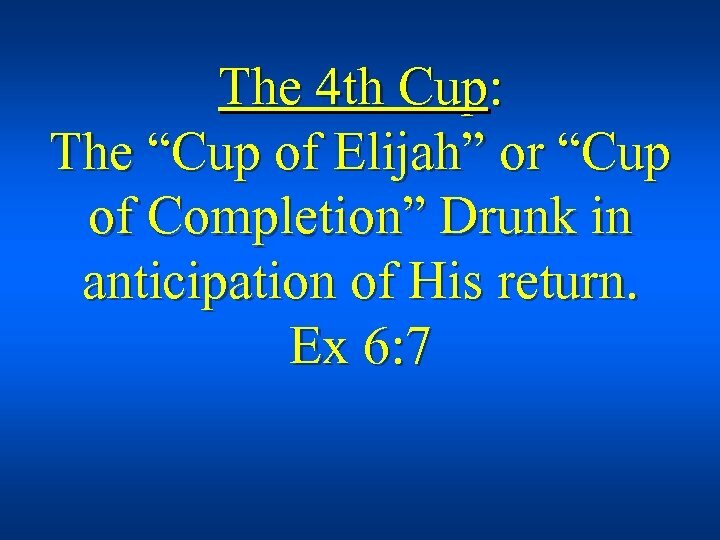 The “Cup of Deliverance/Joy/Praise”, represented the 10 Plagues against Egypt, and signified the Lord’s deliverance. 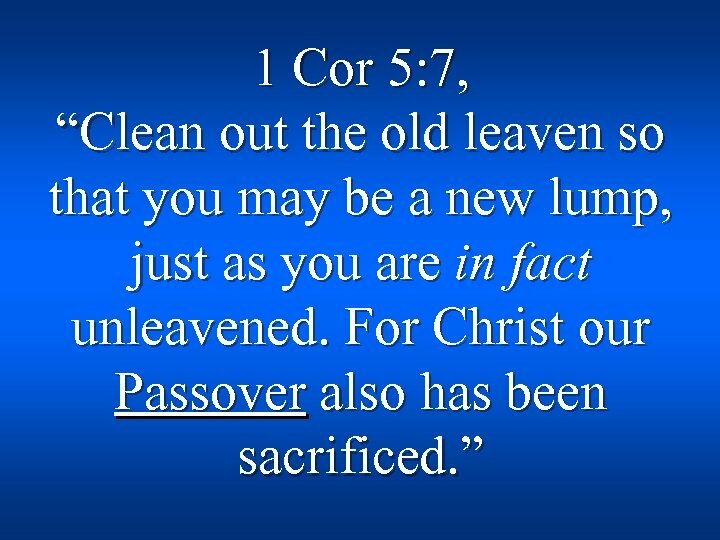 Ex 6: 6 b. 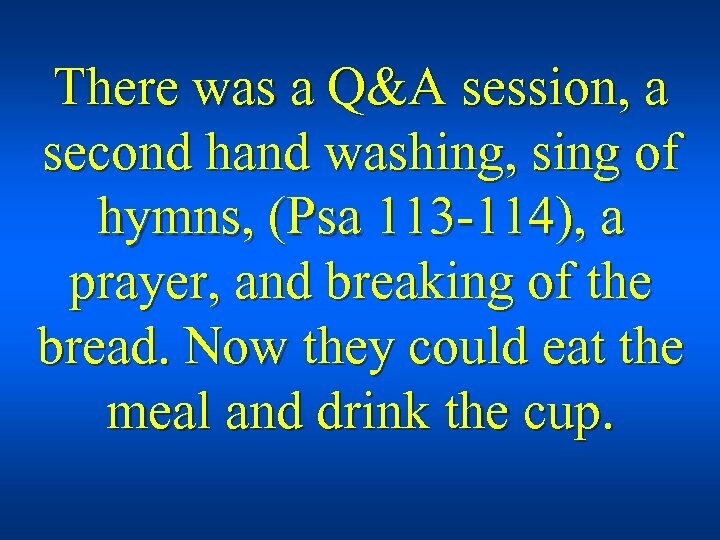 There was a Q&A session, a second hand washing, sing of hymns, (Psa 113 -114), a prayer, and breaking of the bread. Now they could eat the meal and drink the cup. 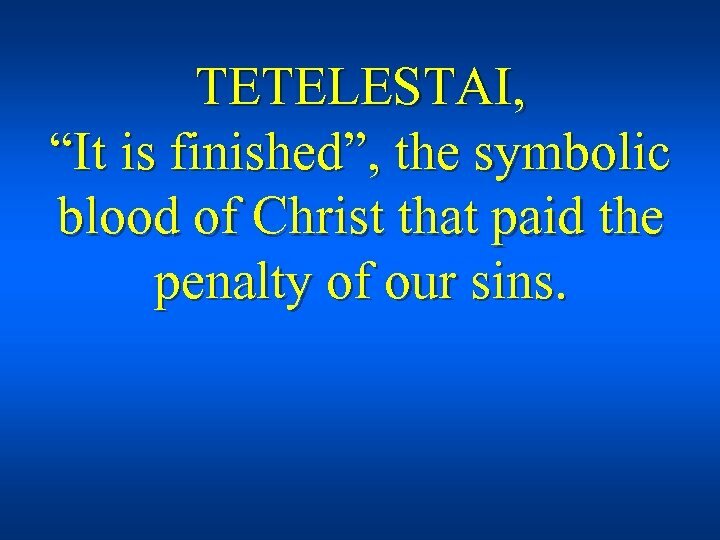 TETELESTAI, “It is finished”, the symbolic blood of Christ that paid the penalty of our sins. 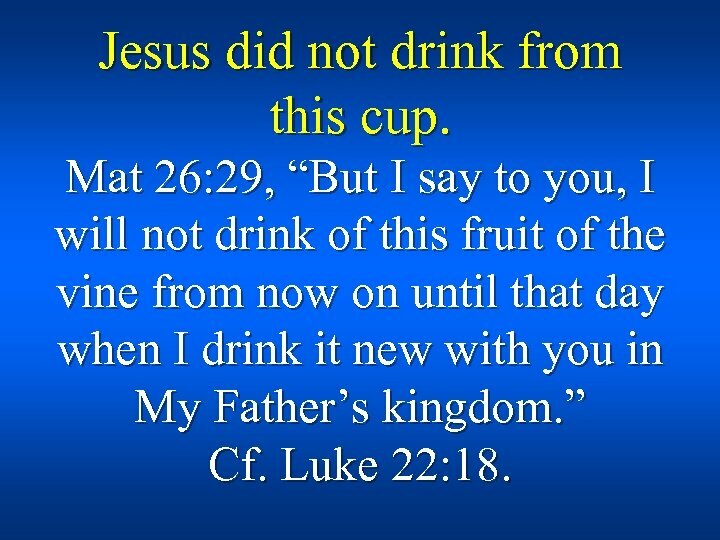 Jesus did not drink from this cup. 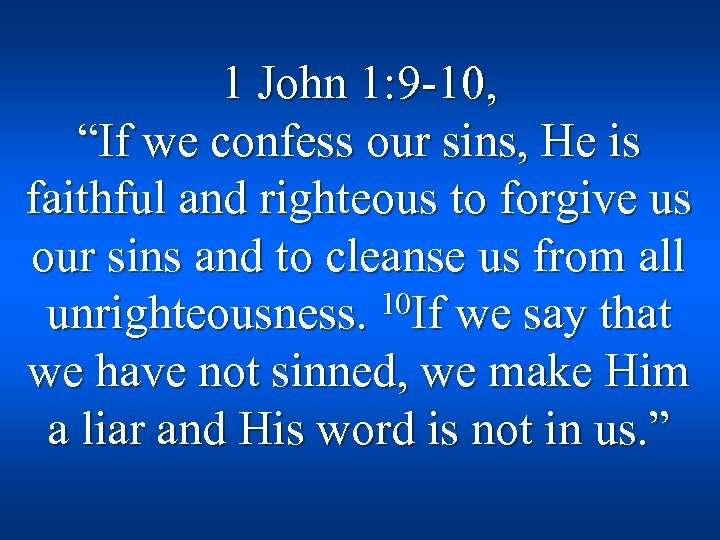 Mat 26: 29, “But I say to you, I will not drink of this fruit of the vine from now on until that day when I drink it new with you in My Father’s kingdom. ” Cf. Luke 22: 18. 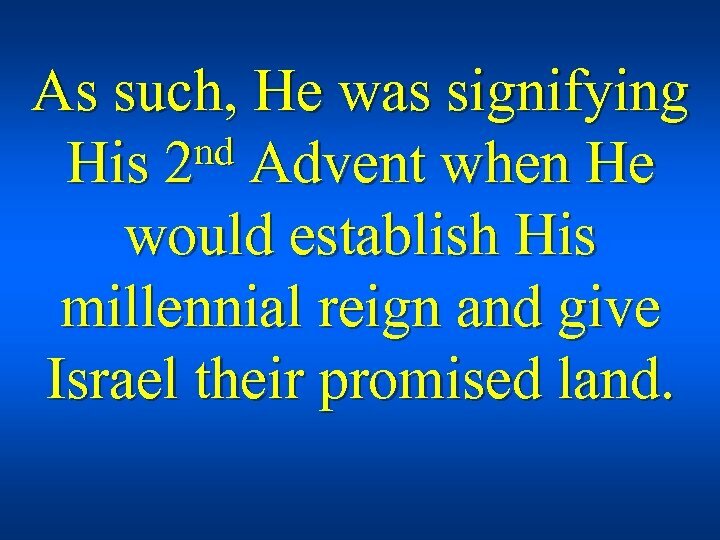 As such, He was signifying nd Advent when He His 2 would establish His millennial reign and give Israel their promised land. 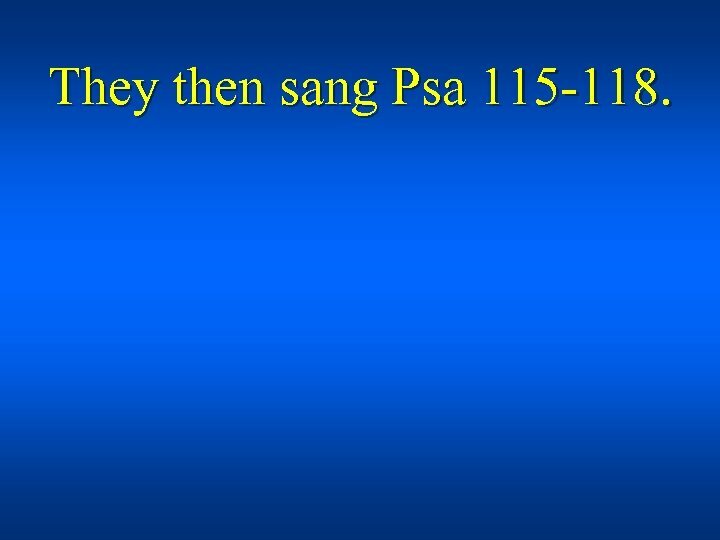 They then sang Psa 115 -118.